MOSCOW, the Russian Federation (BulgarianMilitary.com) – At a teleconference held today (4th December) at the National Defence Management Center, Sergei Shoigu stated the plans of Russia’s Defence Ministry to conduct more than 4000 military exercises and about 8500 other training events in 2019. During the teleconference, the Russian Defence Minister spoke with the commanders of the military districts and servicemen as well as representatives of the leadership of the Republic of Tatarsta, Primorsky Krai and Smolensk Oblast, learned BulgarianMilitary.com. 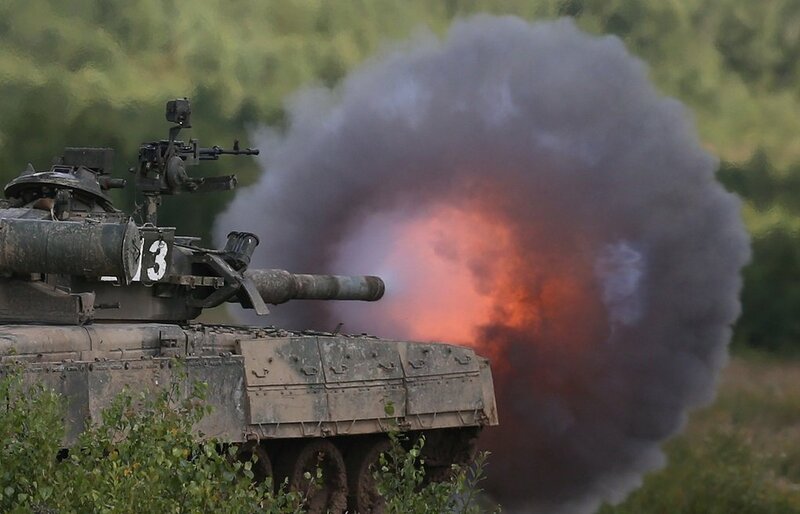 According to him, 2019 is going to be one year of intensive military training given the number of planned training activities. The main focus of next year’s exercises will be on the effective performance of non-standard tasks, relying on the experience of troops and commanders in modern armed conflicts. The practice of sudden combat readiness checks of the Russian Armed Forces will continue as this inspection allows to identify problematic issues that cannot be noticed in daily activities, added also the Russian Minister of Defence. On the background of the beginning of the winter training period, which has started yesterday (3th December), Sergei Shoigu pointed out the great preparatory work done in the army before the beginning of the winter cycle, saying that more than 7000 instructor-methodical and demonstrative classes were conducted and measures were taken in improving the educational and material base, the preparation of weapons, the military and special equipment. During today’s teleconference, it became clear that one of the main topics discussed at the recent Sochi meetings, was the introduction of measures, which to reinforce the Russian troops’ combat capacity and multiplication amid arms race related to the U.S. plans to withdraw from the INF Treaty. The series of meetings in the Russian resort city of Sochi took place in the period from 19th to 22th November, there Russian President Vladimir Putin held talks with the leadership of the Russian Defence Ministry and of other Russian ministries, as well as with representatives of the country’s leading military-industrial companies. The officials attending the meetings in Sochi have briefed Russian President on the development of the armed forces and their capability to defend the country and to counter a technologically developed rival. The talks, held in late November, also included topics covering the measures toward building up the stock of technical resources and the new state armaments program up to 2027, which will allow the army and the navy to be re-equipped at their necessary pace.